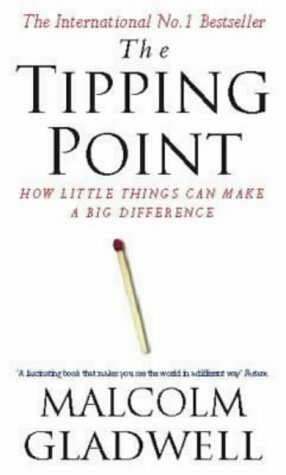 In this brilliant and original book, Malcolm Gladwell explains and analyses the ‘tipping point’, that magic moment when ideas, trends and social behaviour cross a threshold, tip and spread like wildfire. Taking a look behind the surface of many familiar occurrences in our everyday world, Gladwell explains the fascinating social dynamics that cause rapid change. Someone from Karachi bought this item recently. Gladwell introduces us to the particular personality types who are natural pollinators of new ideas and trends, the people who create the phenomenon of word of mouth. He analyzes fashion trends, smoking, children’s television, direct mail, and the early days of the American Revolution for clues about making ideas infectious, and visits a religious commune, a successful high-tech company, and one of the world’s greatest salesmen to show how to start and sustain social epidemics.